Hello Dosto Namaskar Aaj Ke Ish Article me Mai Apko Bataunga Blogspot Blog ki Har Post me Simple Aur Professional Author Box Add karne ke baare me,Dosto kisi bhi blog me Author Box Add karna Bahut hi jarruri hai.Author Box ko Dekhkar Hamare Bare me Jankari ho jayegi,Author Box Hamare Blog ko Achha Look deta hai,Author Box Se Readers ko Pata Lag jata hai ki Yeh Article Kisne likha hai.To Chalo Dosto Ishke Baare me Mai Apko Vistar se Batata hu. Dosto Author Box 2 Types ke Hote hai Simple Author Box Aur Professional Author Box,Ish Post me Mai Apko Dono Author Boxes ke baare me Bataunga. 2.Custom or Professional Author Box:-Custom Author Box:-Custom Author Box or Professional Author Box 90% Blogger Blogs me Use hota hai,Ish Author Box ki Informations ko hum apne hisab se dalte hai,Ish Author box me hum About Us Page ko bhi link kar sakte hai.Main bhi Ishi Author Box ka Use Karta hu. Author box ko blog posts me lagane ke bahut fayde hai,Author Box se Readers ko pata lag jata hai ki ye post kisne likhi hai,aur uske sath-2 Author Description me Author ki Full Details bhi mil jati hai.Author Box Hamare Blog ko ek Achha look deta hai. 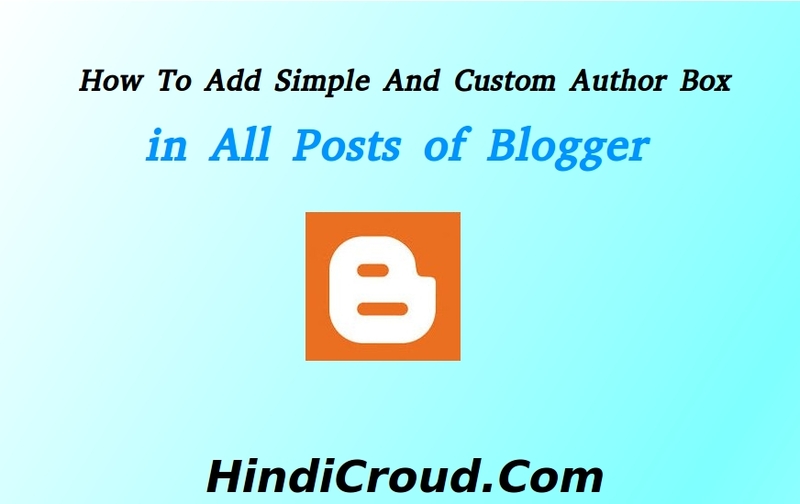 Simple Author Box me Apke Google Plus Account ki profile Show hoti hai,Ishka Use karke Aap Bahut hi Jaldi Apni Sabhi Posts me Author Box Add Kar Sakte ho,Niche jo Steps diye hue hai Inki Help se Aap Easily Apne Blogger Blog me Simple Author Box Add kar Sakte ho. Step 1:-Apne Blogspot Blog ke "Dashboard" me Jaye. 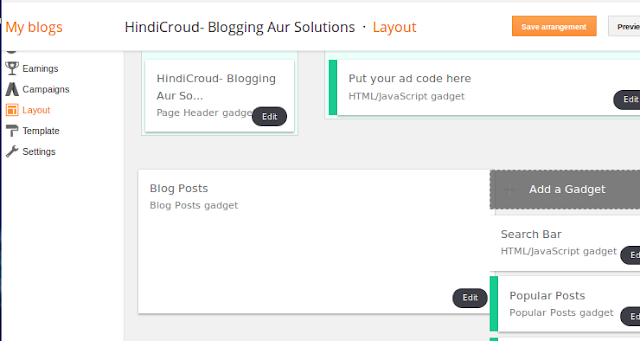 Step 3:-Ab Blog Posts(Blog post Gadget) section me niche 'Edit' hai Ush par click karey. 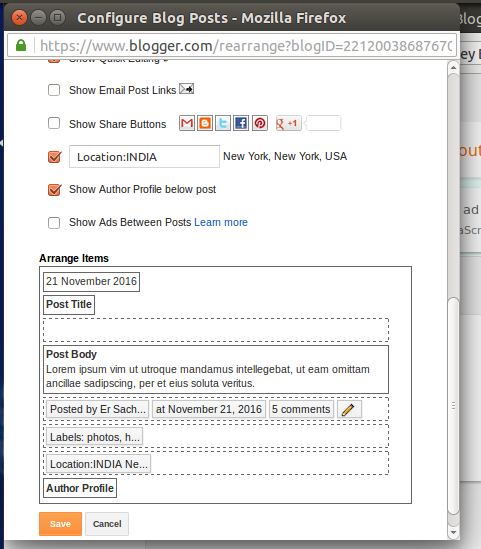 Step 4:-Ab "Show Author Profile below post" par click karey. Step 5:-Ab 'Save' par click karey. Aapne Apne Blog me Successfully Simple Author Box Add kar liya hai. Professional Author Box Hamare Blog ko ek Achha look deta hai,Aap Ish Author Box me About Us Page ko bhi link kar sakte ho,Iske Alava Jish page ko bhi aap link karna Chahte ho Apne Author box se Aap kar Sakte ho.Ab mai Apko batata hu ki Custom Author box ko kaise Add karte hai blogspot blog ki sabhi post me. Step 4:-Ab "Template" par click karey. 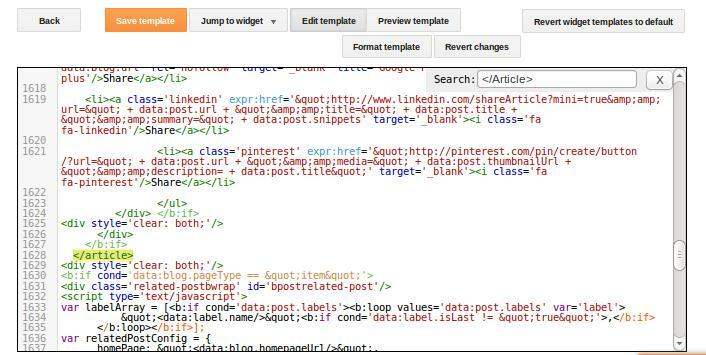 Step 5:-Ab "Edit Html" par Click karey. 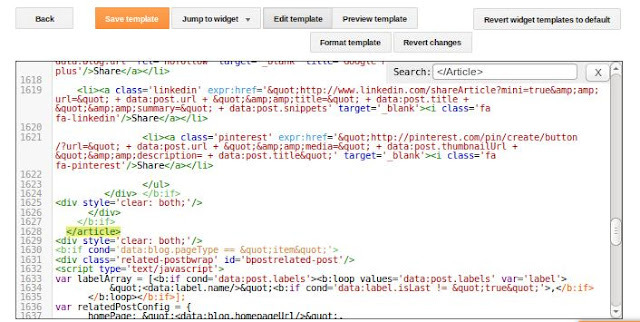 Step 6:-Ab "Template" Box me kahi bhi click karke 'Ctrl+F' press karke Search kijiye '</Article>' Aur Search ho jane par Ush Code ko '</article> ke upar paste kar de. Aapne Apne Blog me Successfully Professional Author Box Add kar liya hai. bohot badhiya Jankari share ki apne thanks !